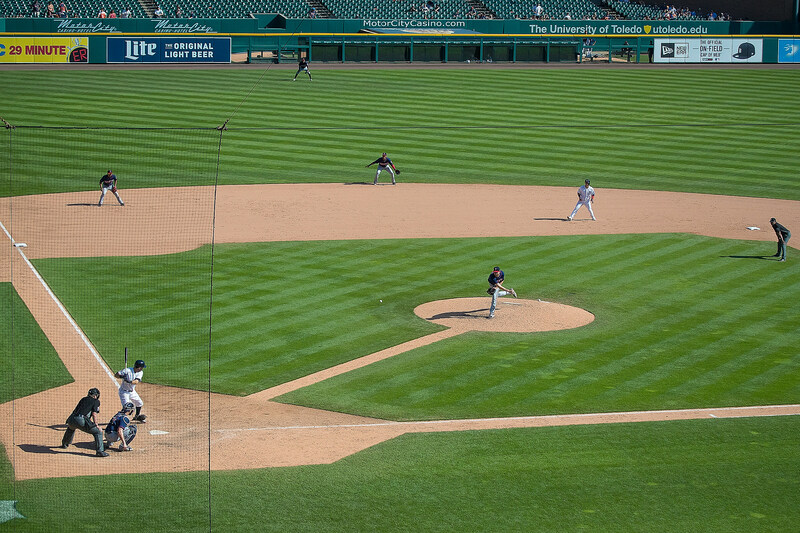 This morning, the Detroit Tigers announced the details of a big change coming to Comerica Park this season. A new netting system is being installed past the dugouts and down the baselines for fan safety. Today’s announcement follows recommendations from Major League Baseball that all teams provide extended netting. The Detroit Tigers conducted some research of their own, including looking at multiple colors and gauges of netting, before deciding on the new system. The 30-foot-tall netting will run through section 140 down the third base line and through section 116 down the first base line. The new netting is 1.2 mm thick and will replace all netting. The netting previously used was 1.52mm thick, so those areas which were already behind netting last season should have a slightly better view. Early reaction has been strong from fans with many saying the new nets will ruin the view and mean fewer souvenir baseballs. A smaller percentage seem to be accepting of the changes for fan safety. I’m okay with the netting. It was only a matter of time before we saw it. The West Michigan Whitecaps did the same thing a couple of years ago, although their netting doesn’t extend as far down the baselines. The improved safety will be good for the game in the long run. Like it or not, the extended netting is likely here to stay.